Setting out on your own is a major step, and can be a source of considerable stress. One of the actions that you can take to reduce a lot of your anxiety is to set up a business plan. That is, don’t just imagine how things will come together for your new firm, but actually write them down. And if you want to get even more of that stress off your shoulders then you should make outsourced accounting services a part of that business plan. A documented business plan allows you to not only anticipate problems that can possibly arise, but also allows you to set up solutions ahead of time. So how do you set up a plan? It’s all about setting goals. Start off with setting a goal for one year from the date you throw open your new firm’s doors. What’s an ambitious but achievable goal that your firm can reach in one year? X number of clients? A certain amount of revenue? A desired interior design for your office to make you appear more professional to visiting clients? Outsourced accounting services are going to be able to help you achieve almost any goal you set for yourself. Once you’ve set up your plan’s 1-year goal, break it down into monthly milestones that contribute to the whole. It’s more than likely that whatever those milestones happen to be, the big obstacles to your achieving them will either be a lack of money, a lack of time, or a combination of the two. Outsourcing helps you save both time and money. That means you have a great deal more resources to use to build towards both your monthly and longer-term goals. 1. The ability to start your business with a significant reduction to overhead costs. Outsourced accounting services don’t require physical overhead like furniture, office space, and computers. They also don’t require the costs associated with hiring people in-house. You’re automatically going to be further along towards your business plan’s goals if you start off on an outsourcing foot. 2. The funds to let you keep up with technology. You’re going to have more funds to let you try out a variety of software/hardware combinations. 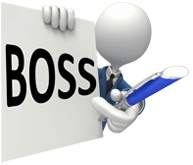 In fact, in the case of BOSS’ outsourced accounting services, we’re both up on pretty much any accounting software that’s out there plus we grant access to our cloud services, providing secure and easy transactions, so that you can keep even more money in your firm’s pocket. 3. The time to go after desired clients. One of the goals of most firms (unless you’re looking to create a compliance volume-mill) is to get into the position where they can start to only deal with their ideal clients. To accomplish this goal you first have to narrow down what makes for your ideal client. And you have to fashion packages that specifically lure those ideal clients. And to do that you have to research the services that those clients come to you for the most. All of this takes time. Outsourced accounting services provide you with the time to get to winnowing your client list at a much earlier point than if you were struggling with the time and costs required to do everything in-house. 4. The ability to sell. Way off in the future you’re going to want to sell your firm. Outsourced accounting services are automatically attractive to buyers because it shows them that it’s highly unlikely that they’re going to be facing any cash-flow problems, and that the transition to their ownership is likely to be smooth because so much of the day-to-day work won’t be interrupted as the firm changes hands. Starting a new firm is going to be stressful. Why would you not do everything you can to reduce that stress as much as you possibly can? Outsourced accounting services can make the jump to being a business owner much easier for you and your firm as a whole.